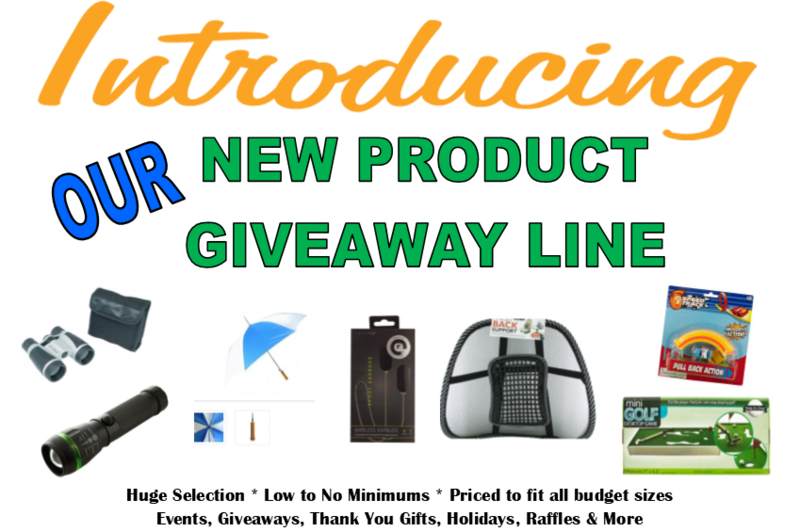 Product Giveaways are a low-cost & cost-effective marketing tool that can really provide buzz in the community regarding your organization. It gives you the opportunity to show your customer appreciation while getting more people in your door for services. Want to take it a step further? Offer a raffle for a larger prize giveaway. Everyone loves the chance of winning and there’s nothing more joyful than delivering the good news to your winners. We offer a wide-variety of low-cost, non-logo products at bulk warehouse pricing. Let us do all the hard work for you! Tell us what product types you’re interested in and we’ll search our vast number of suppliers to provide you with the best pricing options available.